The Hebrew word “kosher” literally means “fit.” It has come to refer more broadly to anything that is “above board” or “legit.” The laws of kosher define the foods that are fit for consumption for a Jew. Certain species of animals (and their eggs and milk) are permitted for consumption, while others are forbidden—notably pork and shellfish. Meat and milk are never combined. Separate utensils are used for each, and a waiting period is observed between eating them. Meat must come from animals that are slaughtered in a specific (and painless) manner known as shechitah, and certain parts of the animal (including the blood) must be removed. Fruits, vegetables and grains are basically always kosher, but must be insect free. Wine or grape juice, however, must be certified kosher. Since even a small trace of a non-kosher substance can render a food not kosher, all processed foods and eating establishments require certification by a reliable rabbi or kashrut supervision agency. The kosher laws were commanded by G‑d to the children of Israel in the Sinai Desert. Moses taught them to the people and wrote the basics of these laws in Leviticus 11 and Deuteronomy 14. The details were handed down through the generations and eventually written down in the Mishnah and Talmud. Various ordinances were enacted through the generations by the rabbinical authorities as safeguards for these biblical laws. Throughout our 4,000-year history, the observance of kosher has been a hallmark of Jewish identity. 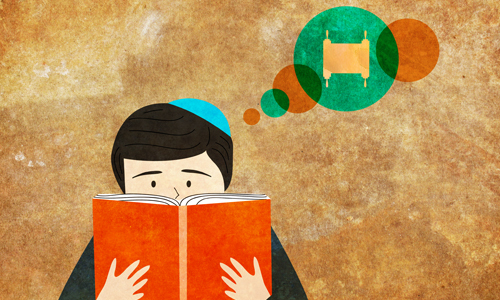 Perhaps more than any other mitzvah, the kosher laws emphasize that Judaism is much more than a religion in the conventional sense of the word. To the Jew, holiness is not confined to holy places and times outside the everyday; rather, life in its totality is a sacred endeavor. 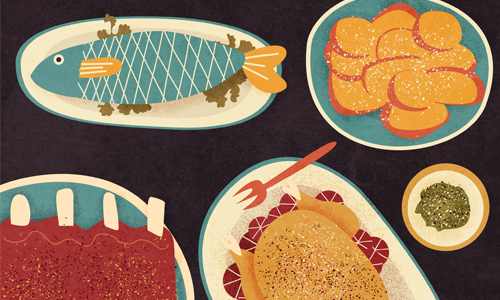 Even the seemingly mundane activity of eating is a G‑dly act and a uniquely Jewish experience. 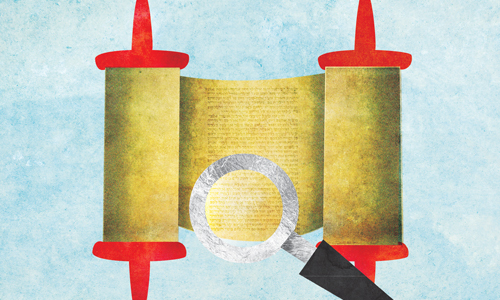 A mitzvah is a Divine “commandment” and “connection.” We eat kosher because G‑d commanded us to, and by fulfilling the Divine will we connect to G‑d. Our sages also point out the various advantages of the kosher laws: the health benefits, the humane treatment of animals, their unifying effect on a dispersed people, and their role as shield against assimilation. Additionally, Nachmanides, the great 12th century sage and kabbalist, points out that “the birds and many of the mammals forbidden by the Torah are predators, while the permitted animals are not; we are instructed not to eat those animals, so that we should not absorb these qualities into ourselves.” Kashrut (kosher laws) can thus be seen as “spiritual nutrition.” Just as there are foods that are good for the body and foods that are harmful, there are foods that nourish the Jewish soul and foods that affect it adversely. None of the above, however, is the reason we keep kosher. Rather, we keep kosher because it is the will of the Creator. Mammals: A mammal is kosher if it has split hooves and chews its cud. It must have both kosher signs. Examples: cows, sheep, goats and deer are kosher; pigs, rabbits, squirrels, bears, dogs, cats, camels and horses are not. 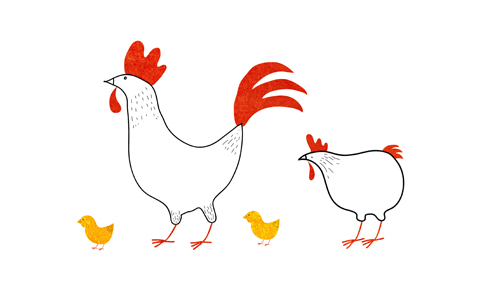 Fowl: The Torah lists 24 non-kosher bird species—mostly predatory and scavenger birds. Examples of kosher birds are the domestic species of chickens, ducks, geese, turkeys and pigeons. Reptiles, amphibians, worms and insects: With the exception of four types of locust, these are not kosher. 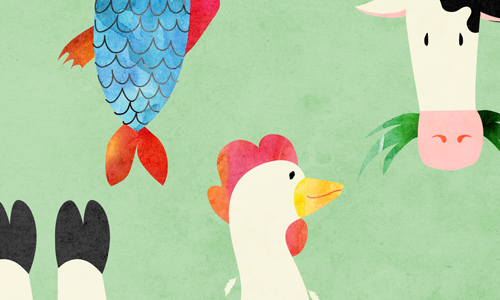 Fish & Seafood: A water creature is kosher only if it has fins and scales. 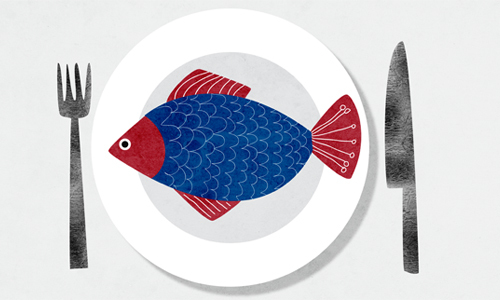 Examples: salmon, tuna, pike, flounder, carp and herring are kosher; catfish, sturgeon, swordfish, lobster, shellfish, crabs and all water mammals are not. Kosher mammals and birds are slaughtered by a special procedure called shechitah, in which the animal’s throat is quickly, precisely and painlessly cut with a sharp, perfectly smooth knife (called a chalaf) by a shochet—a highly trained, Torah-observant and G‑d-fearing individual. An animal that dies or is killed by any other means is not kosher. It is also strictly forbidden to eat flesh removed from an animal while it is alive (this prohibition is actually one of the Seven Universal Noahide Laws, and is the only kosher law that applies to non-Jews as well as to Jews). After the slaughtering, the internal organs of cattle are examined for potentially fatal diseases or injuries, such as adhesions (sirchot) in the lungs or holes in the stomach. The occurrence of any one of dozens of specified tereifot, as these defects are called, renders the entire animal not kosher. Nikur (“deveining”) involves removing certain forbidden veins and fats from cattle. They are extremely prevalent in the hindquarters, and due to the complexity involved in their removal, this part of the animal is generally not sold as kosher. Learn more about kosher slaughter. The liver, which has an especially high blood content, needs to undergo a special broiling process before it can be eaten. A rule of thumb cited by the Talmud is: What comes from a kosher animal is kosher; what comes from a non-kosher animal is not kosher. Thus, milk and eggs are kosher only when they come from kosher animals. In addition, all eggs should be carefully examined before use to ensure that they are free of blood spots. Honey is not considered an animal product, so honey is kosher though bees are not. Meat includes the meat or bones of mammals and fowl, soups or gravies made with them, and any food containing even a small quantity of the above. Dairy includes the milk of any kosher animal, all milk products made with it (cream, butter, cheese, etc. ), and any food containing even a small quantity of the above. Pareve foods are neither “meat” nor “dairy.” Eggs are pareve, as are all fruits, vegetables and grains. Pareve foods can be mixed with and eaten together with either meat or dairy (fish are parve, but not eaten with meat due to health concerns outlined in the Talmud). 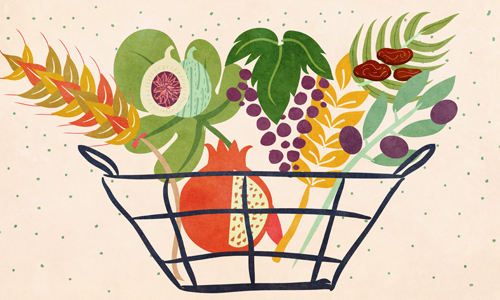 Fruits, vegetables and grains are basically always kosher, but they must be insect-free. Produce grown in the Land of Israel has special kashrut requirements. Tithes must be separated from produce before it can be eaten, and special care must be taken since fruit from the first three years following a tree’s planting (orlah) is unfit for consumption, and special laws govern the produce of shemittah, the sabbatical year. Therefore, produce from Israel should be purchased only if it comes with a reliable kosher certificate. Other produce is fine, with some needing bug checking. This can vary by locale and by season, depending on the level of infestation of various crops. 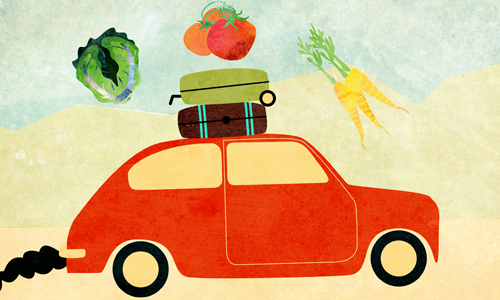 Learn more about produce from Israel. Learn more about checking fruit and veggies. 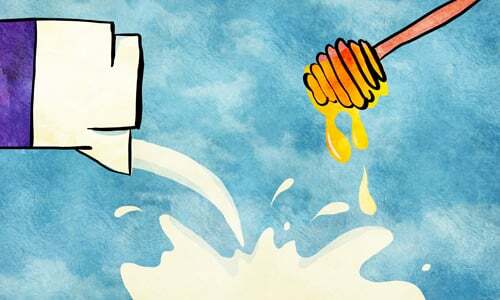 The kosher laws stipulate that all dairy products should be chalav Yisrael (lit., “Jewish milk”): a Torah-observant Jew must be present from the milking to the end of the processing to ensure that only milk from kosher animals is used. In certain western countries (including the US) it is illegal to market milk from non-kosher animals as “milk.” Some halachic authorities therefore permit using non-chalav Yisrael milk in places where chalav Yisrael is not obtainable, and to rely on government inspection as sufficient assurance. Others, however, point out that in addition to the technical reasons for the law, there are spiritual reasons for the requirement to use only “Jewish milk.” All agree that it is preferable to use only chalav Yisrael. In a series of rabbinical ordinances instituted as a safeguard against intermarriage and assimilation, the sages forbade the consumption of the wine, bread and cooked foods of a non-Jew, even when these do not contain any non-kosher ingredients. The prohibition of eating food cooked by a non-Jew applies only in the following cases: a) it is a food that cannot be eaten raw; b) it is a respectable food, “fit to be served at a king’s table.” Even foods that do not fall under these categories must contain only kosher ingredients, be prepared on kosher dishes, and comply to all other kosher laws. The prohibition of eating non-Jewish bread applies to home-baked bread, not to bread prepared in a commercial bakery. Nevertheless, it is the custom of many communities to use only pat Yisrael (or pas Yisrael, “Jewish bread”) rather than take advantage of this leniency. 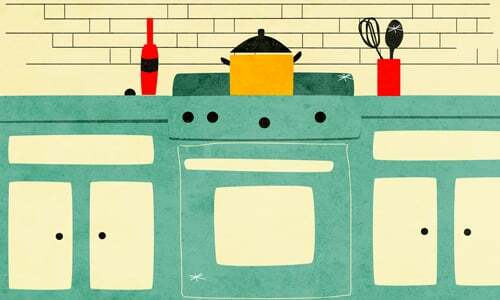 If a Jew is involved in any part of the baking or cooking process (e.g, turning on the oven), the baked or cooked food is permitted. 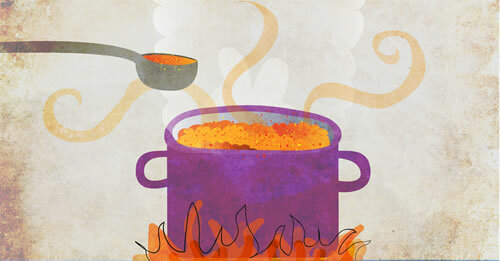 Sephardic tradition requires the food to actually be placed on the fire by a Jew. Learn more about pat Yisrael and bishul Yisrael. Wine or grape juice must be certified kosher. 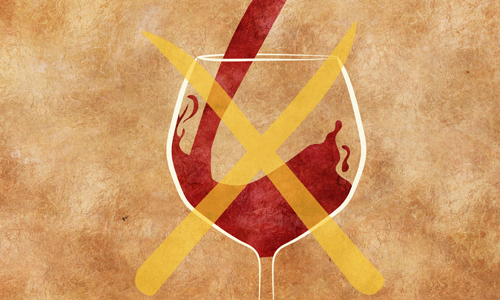 Because wine was used in the sacred service in the Holy Temple—and because it can be defiled through its use in pagan rites—Torah law requires wine to be produced and handled by Torah-observant Jews. Read more about kosher wine and grape products. Even a small trace of a non-kosher substance—as little as 1/60th (1.66 percent) of the food’s volume, and in certain cases, even less than that—will render an otherwise kosher food not kosher. By the same token, utensils that come in contact with hot food will absorb its “taste” and subsequently impart it to other food. For example, a loaf of bread baked in a pan smeared with shortening that contains a small percentage of lard, fruit juice pasteurized in the same machinery as non-kosher milk, or a vegetarian dish prepared in a restaurant kitchen with the same utensils in which a non-kosher dish was cooked earlier—these would all be regarded as non-kosher if the proportion of the non-kosher substance is greater than the permissible percentage. It is for this reason that separate utensils are used for meat and milk, and that a reliable kosher certification is needed for foods processed or prepared outside the home. Even the slightest residue or “taste” of a non-kosher substance will render a food not kosher. So it’s not enough to buy only kosher food. The kitchen, too, must be “kosher,” meaning that all cooking utensils and food preparation surfaces are used exclusively for kosher food, and that separate stoves, pots, cutlery, dishes, counter surfaces and table coverings are used for meat and dairy. A general rule of thumb is that any time hot food comes in contact with another food or a utensil, the food or utensil will absorb its “taste.” Also cold foods and utensils will, under certain circumstances (such as when the food is spicy or salty, is cut with a knife, or it sits in the utensil for an extended period of time), transmit their “taste.” So food prepared in a kitchen or plant in which non-kosher food is also prepared will invariably become non-kosher as well (unless the embedded taste is first extracted from the utensils in a special koshering process). For guidelines on how to set up a kosher kitchen or “kosher” a previously non-kosher kitchen, see Koshering Your Kitchen. The intricacies of modern-day food technology make it virtually impossible for anyone but an expert in the field to know whether a processed food is free of any trace of non-kosher ingredients. So all processed foods and eating establishments require certification by a reliable rabbi or kashrut supervision agency. Check the labels of packaged foods and the kashrut certificates of restaurants and hotels for a copyrighted kashrut symbol. Learn more about the need for supervision at commercial facilities. Eating Jewishly means, first and foremost, the observance of the kosher dietary laws. But it is also means eating with awareness—awareness of the true Source of our sustenance, and of the purpose of eating. “Know Him in all your ways,” says King Solomon in the book of Proverbs. “All your deeds should be for the sake of Heaven,” says Ethics of the Fathers. The Jew serves G‑d not only with Torah study, prayer and the observance of the mitzvahs, but also with his or her every act, including the seemingly mundane act of eating. There are times when the act of eating is itself a mitzvah—eating matzah on Passover, for example. But even when this is not the case, the Jew does not simply eat; he or she eats “for the sake of Heaven”—with the intent to utilize the energy derived from the food to serve G‑d. The kabbalists teach that when we eat with such mindfulness we elevate the food, redeeming the spark of G‑dliness it contains by fulfilling the purpose for which it was created. Kosher: (Hebrew) the catch-all term that refers to all that is fit to be consumed or to be used together with kosher food. Treif: (Hebrew) literally, “torn,” referring to an animal that met an unnatural death other than shechitah, but extended to mean any food that is not fit to eat. Parve: (Yiddish) the in-between, neutral foods, which are neither meat nor dairy and may be eaten with both. Fleishig: (Yiddish) meaty. Variants include fleishigs, and fleishige. Milchig: (Yiddish) dairy. Variants include milchige and milchige. Pesachdig: Kosher for Passover (Pesach). Since Passover has its own set of rules, food and dishes that conform to the Passover standards are referred to as Pesachdig or Pesachdik. Kasher: (Yiddish) the act of making something kosher. This can either refer to the salting of meat or to the process of making dishes or appliances kosher through the application of heat. Mashgiach: (Hebrew) supervisor, often appointed by a supervising agency to ensure that food produced at a commercial establishment is kosher. Hashgachah: (Hebrew) Supervision, and the certification thereof, often issued by a rabbi or a rabbinic agency. Hechsher: (Hebrew) Kosher certification, and the actual symbol denoting that a given product is certified kosher. Glatt: (Yiddish). Literally “smooth,” this refers to an animals whose lungs have been found to be superbly healthy and free of adhesions. Since this is a higher standard of kosher, it has come to refer to food that is kosher according to the most exacting of standards. Shochet: (Hebrew) Trained kosher slaughterer. Chumrah: (Hebrew) Additional stringencies that are beyond the letter of the law, which some communities or individuals may adopt. Baking cookies with your grandchildren is treasured time you do not have to miss. Perhaps you might schedule a time to bake with them in their parents' kitchen. Consider a day of fun baking together at their house then packing the freshly baked cookies with a simple kosher picnic lunch to take to your house, a park, or a playground. You can pack parent approved sandwiches and snacks that will not require plates or utensils. Kudos to you for beginning to keep kosher! That's quite a step. Goat milk itself is kosher. However, added ingredients or using machines which are also used for non-kosher product may render a particular company's goat milk non-kosher. There are kosher goat cheeses available. Almond milk does not fall under the mik/meat restrictions, since, as you said, it is not from a "mother". So, technically, meat can be eaten with almond milk. However, the rabbis ruled that since they are similar, you must do something to show that it is indeed almond milk and not cow's milk. Their solution was to place almonds on the table next to the milk. Nowadays, bringing the original bottle to the table works. You are correct that that is the basic Halachah. However, since soy and almond milk are now common the consensus of contemporary authorities is that you don't have to keep the bottle on the table or any other sign, as people would understand that it may be a non-dairy milk. Thank you for the description of Kosher, it was very informative. Would this mean that if I invited friends to my home who kept Kosher, they would be unable to share a meal with my non-Jewish family even if we obtained foods that were certified Kosher if we prepared it?